A boutique hotel between Quinta do Lago and Vale do Lobo with 11 individually designed luxurious bedrooms, set in secluded gardens with an outdoor swimming pool and jacuzzi. Our attention to detail and quality of service will ensure a relaxing holiday, a romantic wedding or a celebration to remember! 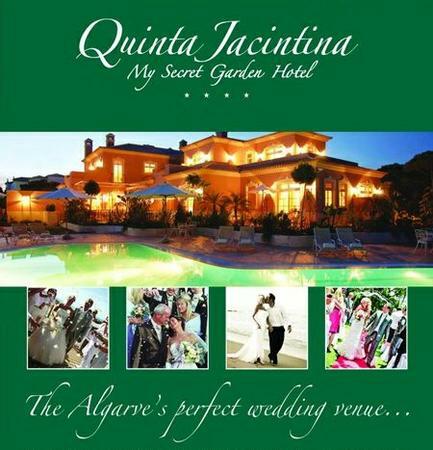 Quinta Occasions the specialist Algarve organisers of weddings, parties, functions and events, at Quinta Jacintina and other renowned hotels, villas and beach locations. Flowers by Rachel a professional florist renowned for her creativity, design and decoration for all occasions, presents and every day pleasure.